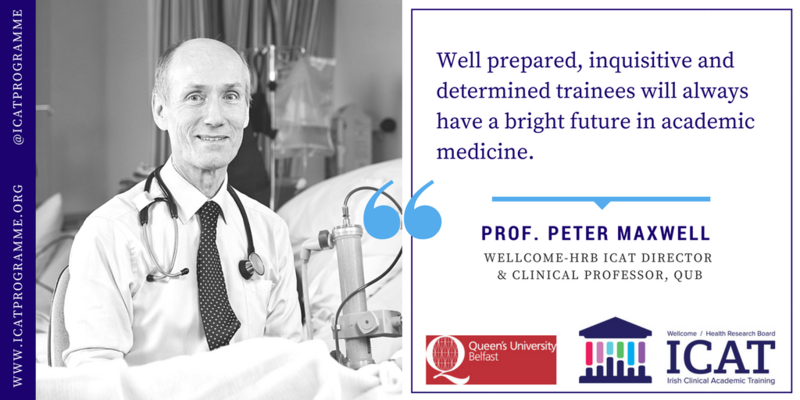 Prof. Peter Maxwell is a Clinical Professor at QUB and a Consultant Nephrologist at Belfast City Hospital. In addition to his teaching commitments in undergraduate and postgraduate medicine, Prof. Maxwell’s research interests include the clinical and genetic epidemiology of chronic renal disease. Prof. Maxwell is a Co-Director of the Wellcome-HRB ICAT Programme.